Summer reading is not a huge struggle for us. We usually participate in our library’s summer reading program and tend to read above and beyond what it expected of us. 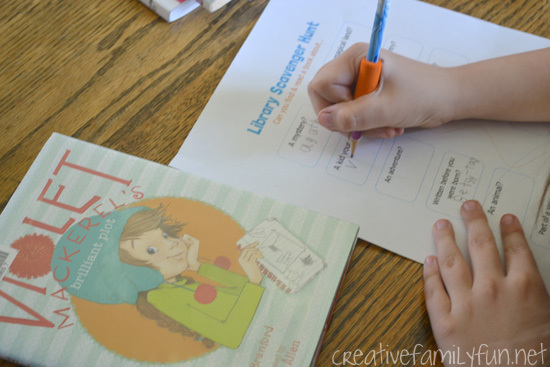 Whether you’re looking to motivate your kids to read or you just want your kids to branch out a little and read different things, I’ve got a fun free gift for you. 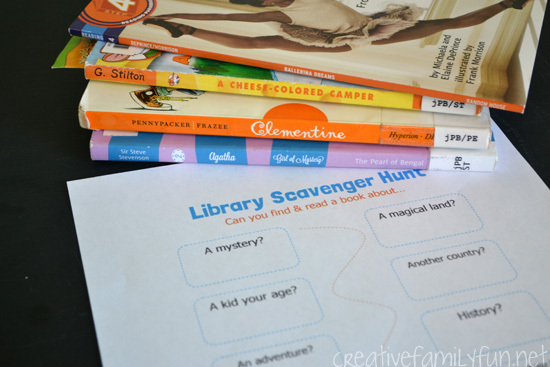 Challenge your kids to read their way through this library scavenger hunt. They’ll have a lot of fun and they’ll hopefully discover some new favorite books along the way. Disclaimer: This post contains Amazon Affiliate links. Please see my Disclosure Page for more details. I made two versions of the library scavenger hunt. Both are available to download and print at the end of this post. One is for kids who are reading chapter books, the other is for kids reading (or listening to) picture books. Can you find and read a book about… a mystery, history, an adventure, or a biography? How about a book that makes you laugh out loud or one written before you were born? Or maybe a picture book about the ocean, a farm , the ABCs, or one with no words? I’ve left plenty of room for your kids to write down the name of each book they read. 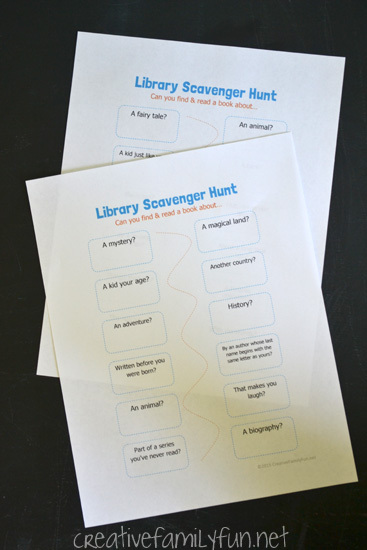 Each scavenger hunt has 12 different topics, so hopefully your child won’t get overwhelmed. This should be a fun summer reading challenge! 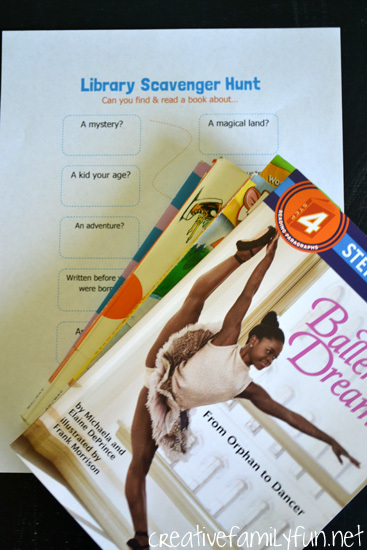 Challenge your kids to search through the library themselves to find books that match. This will help them get more and more comfortable with the library. Use the time to show them around, especially if they are unsure of where to find a specific book. Where are the biographies kept? Show them or let them ask a librarian. How do I find a book written before I was born? Teach them where to find that information in a book. Download the chapter book scavenger hunt here. 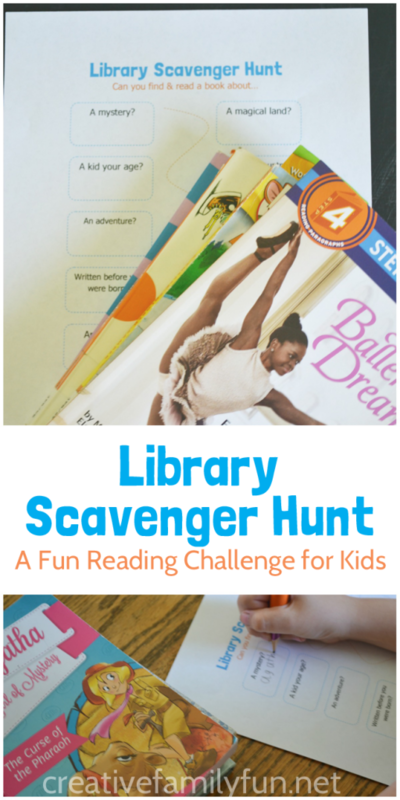 Download the picture book scavenger hunt here.